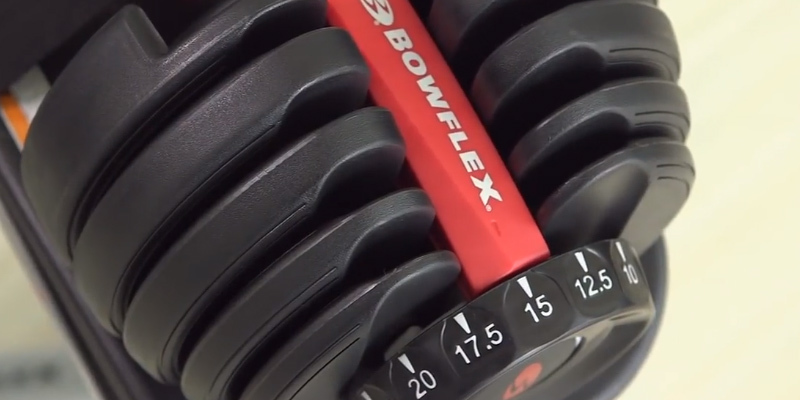 Bowflex dumbbells take up little space, feature a branded stand for storage and easy weight customization. The dumbbells are still large, even when the lowest weight on. Bowflex dumbbells make an ideal choice for both professionals and beginners. They help you build your muscles with exercises of varying complexity. Storing rest; Durable molding around metal plates; Rotating weight lock. The locks presented in this item are going to prevent the plates from falling off while the unique rubber O-ring is going to ensure that those plates aren't going to spin unnecessarily. The plates can be prone to rust. Thanks to the number of handles, plates, and a steel tube, this set is going to make your gym membership seem redundant and obsolete. The aforementioned steel tube can turn one of your dumbbells into a barbell. 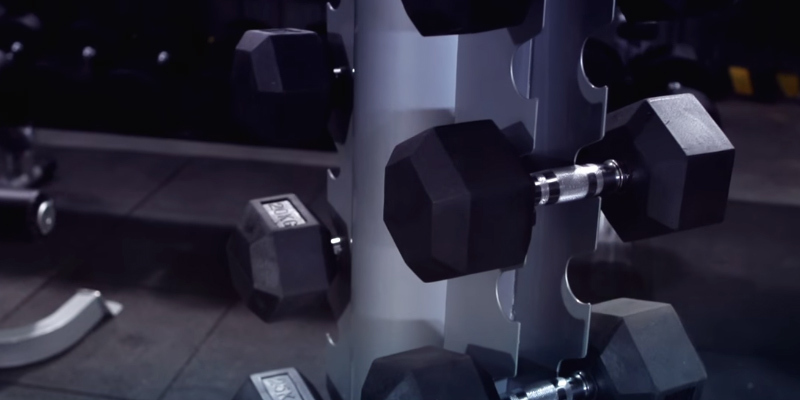 Thanks to the hexagonal shape of the ends, your dumbbells aren't going to roll away on the floor. 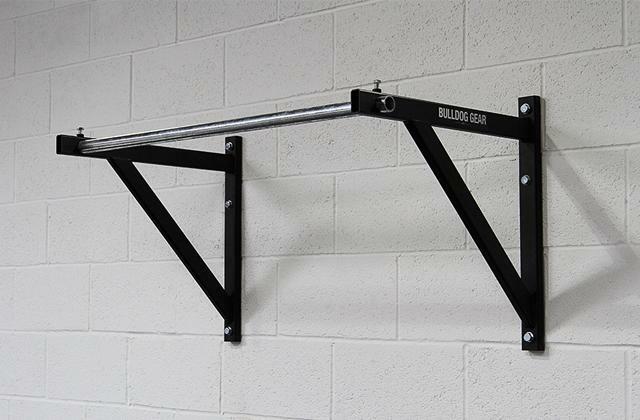 This kind of structure allows you to save some money on the rack. The weight displayed on the ends may seem unclear even at a close range. This item from BodyMax provides everything you would want from a pair of dumbbells at an incredibly cheap price. Thanks to the model's durability, you won't have to replace them anytime soon. 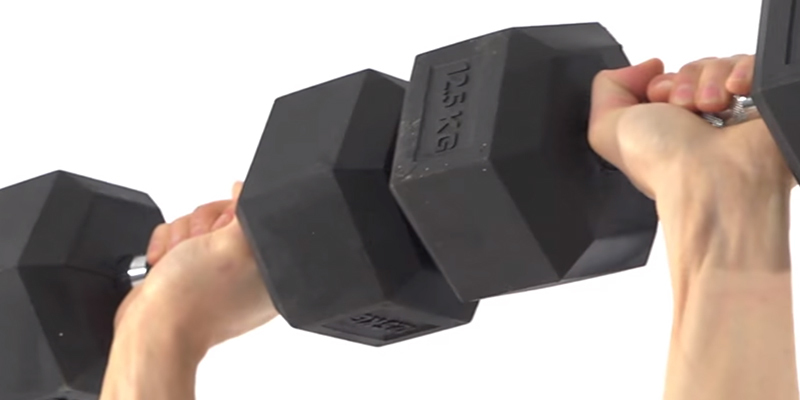 The textured neoprene surface of the handle makes it is easy and comfortable to grip and the dumbbells don't slip out when your hands get sweaty. The letters and numbers on the sides tend to wear off after a certain period of time. This item from ProIron is going to prove useful regardless whether you're an experienced fitness enthusiast or just looking to get started in the world of physical training. The handles are made of solid metal and contoured with chrome ensuring a comfortable grip and a material that isn't prone to rust or exfoliating. The ends are encased in rubber for some additional durability and control. A pair of exercising gloves could prove useful since the dents on the handles aren't particularly deep. The dumbbells are constructed with high-quality cast iron that provides a firm foundation making this item a great choice not just for newcomers but also for individuals that like to train as hard as possible. The Bowflex 552i adjustable dumbbells feature the patented weight adjustment system which allows you to set the desired weight quickly enough. They enable you to control the number of plates, and hence the dumbbells weights, with a single turn of the dial mechanism. Bowflex Selecttech dumbbells stand out for their ergonomics and functionality and provide you with a complex workout for all your muscles, especially when combined with other training equipment. 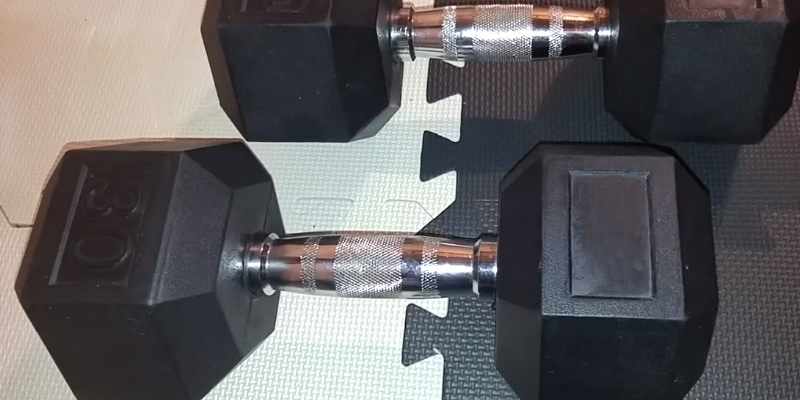 These adjustable dumbbells can be used for any fitness workout. They are perfect for toning your muscles, training your upper and lower body and burning excess fat. 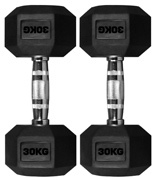 The dumbbells feature the weight range between 2 and 24 kilograms which contributes a lot to your workouts. At the same time, the weight can be adjusted in small increments, allowing you to increase the load gradually. Not only will you enjoy the workout but also make your muscles work efficiently every time you train. These Bowflex dumbbells provide 15 fine tunings, which allow you to adjust the level of the load according to the tasks you’ve set. Bowflex provides a special rubberized pad to prevent the dumbbells from slipping out of your hands when you’re training. The durable molding ensures that the plates won’t clang. 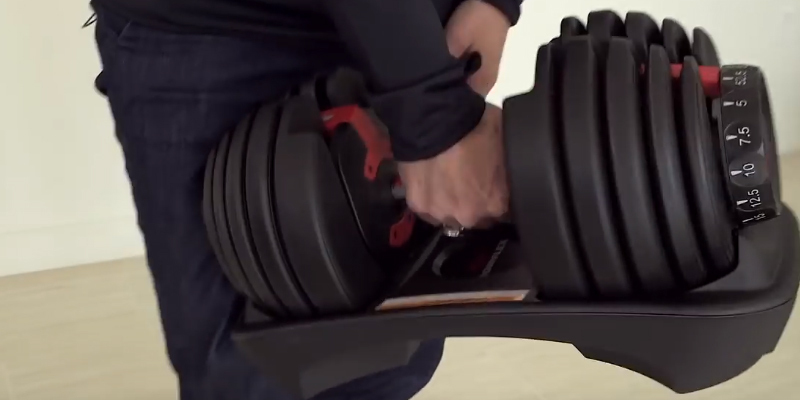 And the convenient dumbbells rest facilitates the transportation and storage of the dumbbells. We live during a rather peculiar time in history when it comes to physical activities, don't we? Although more and more people get stuck in a cramped up office at a job that requires next to no physical exercise, the amount of different gym equipment available on the market is truly staggering and it has never been easier to work on a specific part of your body. 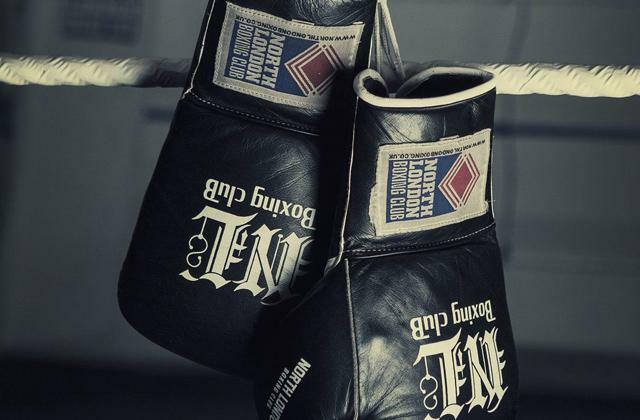 For instance, if you're interested in putting some pressure on the upper part of your body, you can look for a tricep bar or a pull-up bar, you can get a bench press, a dip station or a preacher bench, you may even be interested in a pair of battle ropes, handgrip exercisers or a hammer strength machine. Of course, when it comes to exercising the lower part of your body, the list doesn't get any shorter, with equipment including but not limited to calf machines, stair steppers, leg curl machines, plyo boxes, ankle weights, reverse hypers, leg press machines, and the hack squat ones. And if you do not have time to work on a particular part of your frame, you can always look into buying a road bike, a power rack, a treadmill, an ab coaster, a smith machine, an abdominal bench, an inversion table or any other piece of equipment that would allow you to exercise your entire body. Problem is, most of these pieces of gym gear either require a tremendous amount of room or end up costing a ludicrous sum of money. And since, naturally, not a whole lot of people have an unlimited amount of space or fiscal capabilities in order to afford some of these machines, most of them tend to stick to purchasing one piece of equipment. And if we were to recommend only one out of the various number of potential purchases, it would have to be a set of dumbbells. 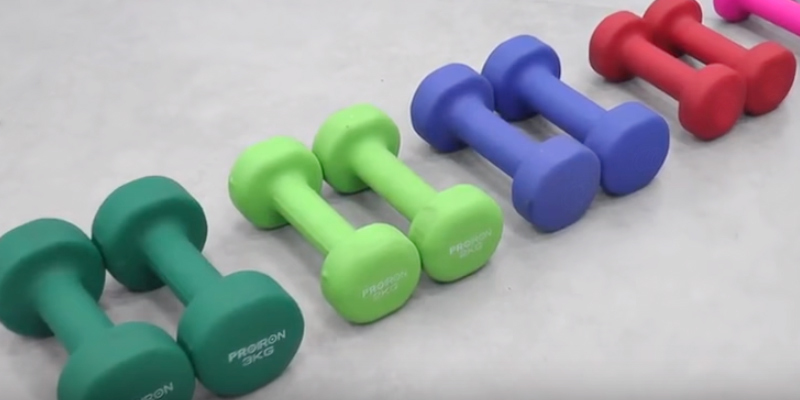 And when it comes to dumbbells, very few companies offer better solutions than ProIron. 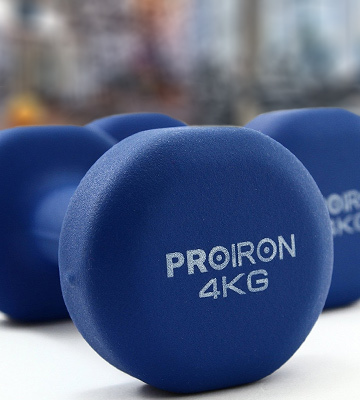 The ProIron PRKCAS20K is a slightly overly complicated name for a 20-kg cast iron adjustable dumbbell set. If you're looking for a bundle of gym equipment that could be personalized and fit more than one person, this item is something you ought to look out for. The dumbbell set includes two handles, four 0.5kg plates, four 1.25kg plates, four 2.5kg plates, 4 collars, and an extended bar. This kind of variety of plates is perfect for a group of people with different exercising needs and routines looking to get the most out of a single set. Of course, an extended bar means a free connection steel tube to turn your dumbbell into a barbell if you're the kind of person that likes switch things up once in a while. One of the most important aspects when it comes to gym equipment are the design and components that went into construction. 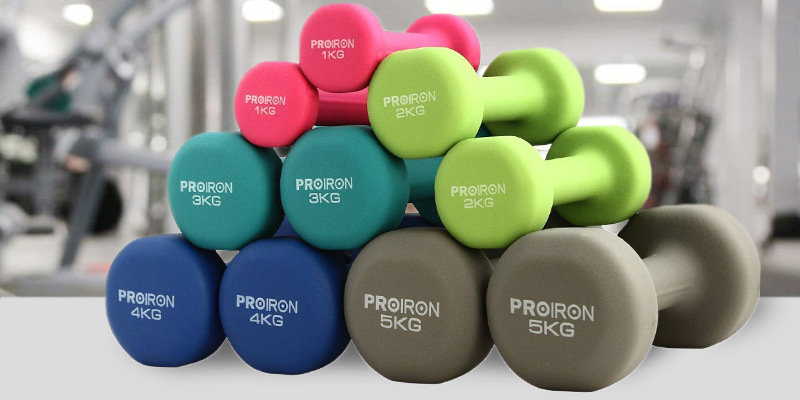 Luckily for the potential customers, this set of dumbbells from ProIron was made from strictly selected materials, free of phthalate, lead, and any other substances that could be harmful to the user in the long run. The unique rubber O-ring design of the plates ensures that you will never encounter a situation where one of them gets loose. The ergonomic designed knurled handle grip is there to make your hands feel more comfortable and a 143-mm wide hand grip part gives more room for that your hand to grip, making it easier to lift the weights without bumping your wrists during some of the more specific training routines. Now, naturally, you'd wish to have as many different pieces of equipment at home as possible, but that is a luxury very few of us happen to possess. 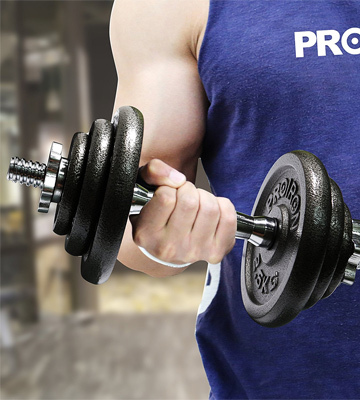 So if you're looking to replace as many of them as humanly possible with a single piece of equipment, this dumbbell set from ProIron is exactly what you ought to look out for. 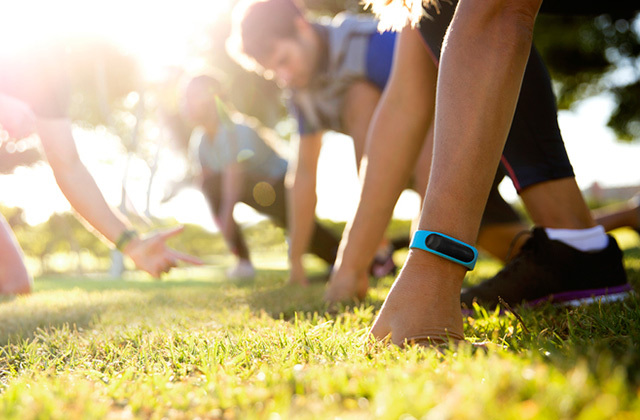 As a lot of you probably know, the number of potential benefits to working out is overwhelming, to say the least. Regular exercising regimen can help in you learning to set and achieve different kinds of goals given that you can always boil down your exercise to a set of achievable numbers, be it deadlifting a certain amount of weight or running a specific amount of kilometers during a fixed amount of time. Regular exercising even provides certain kinds of benefits that you wouldn't even begin to think about when it comes to physical activities like improving your memory or boosting your performance at work, even if said work doesn't have anything to do, even remotely, with physical activities. But, of course, the most obvious and important part of a regular workout is the health benefits. 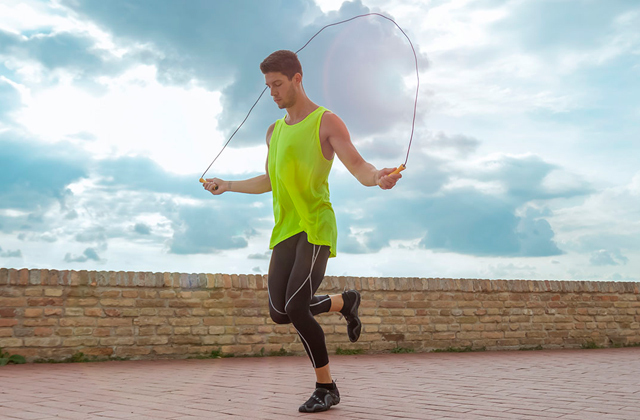 Now, we probably are all aware of the effects that a good workout, especially the one that is based around cardiovascular exercises, is extremely helpful when it comes to reducing the risk of a heart disease. But it doesn't even begin to stop there since actively staying in shape also helps you sleep better, provides an energy boost that is incredibly useful in your daily life, gives you an increase in strength and flexibility and makes you live longer by making you less susceptible to an array of potential diseases including fortifying your immune system against future cancers and reducing the risk of breast cancer. Now, we all know how incredibly hard it can be to force yourself into this physical routine, but we can probably all agree that the potential benefits far outweigh whatever levels of discomfort getting used to regularly working out can cause you. So instead of making up another lame excuse, why don't you grab a pair of Bodymax Rubber Hex Dumbbells and take a step towards living a healthier and more productive life? Now, you may think what you get here is just a couple of dumbbells and there isn't a whole lot you can achieve with it. While the first part of that thought isn't necessarily wrong, you could not be more wrong about the latter one since a number of potential exercise routines you can follow with that item is virtually limitless. People behind Bodymax allow you to select any size you want so you wouldn't have to worry about acquiring a piece of equipment that doesn't fit you as well as it should. 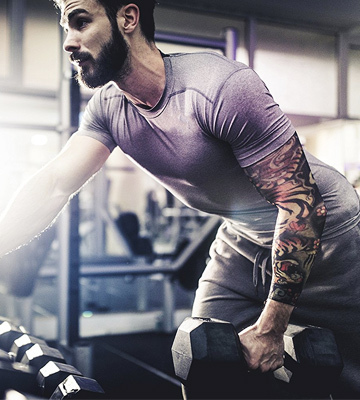 You can get a single dumbbell that weighs no more than 2 kilograms if you're just looking to get started or you can get a couple of pairs of 30-kilogram models if this isn't your first rodeo and you aren't interested in taking things slow and easy. 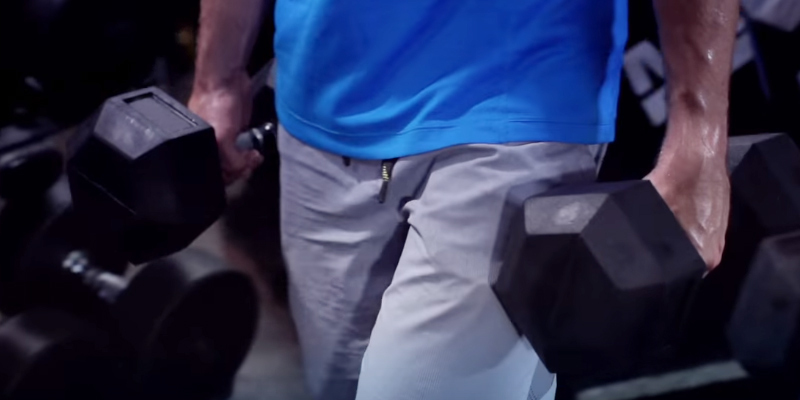 Even though it may seem like there isn't that much room to go on in this particular regard, dumbbells are only as good as their design allows them to be. Fortunately, BodyMax is not the kind of company that is unaware of this phenomenon. This model presents ends coated in rubber thus providing some ever so needed additional durability and protection. The aforementioned rubber coating also reduces noises which is helpful in a more crowded environment. The hexagonal structured ends are designed in a way that would prevent the dumbbell from rolling on the floor or off the dumbbell rack. If you're looking for a pair of dumbbells that will do their job as well as provide some comfort and durability on top of that, Bodymax Rubber Hex Dumbbells is exactly the kind of equipment you need. Everybody has his own unique experiences in life and faces challenges that other people might not ever encounter in their day-to-day routine. But we all have certain strengths and weaknesses that might present themselves in a different way but come from the same deep-seated roots. Now, whether you like to admit it or not, there's a good chance you have felt envious before towards other person's success in general or in some particular area. While that isn't something to be proud of, it's not necessarily something to be particularly ashamed of. We all occasionally adhere to this destructive mindset that entices us to compare ourselves to other people's accomplishments or lives in general. Of course, this kind of mentality is presented in fitness more so than in virtually any other aspect of our lives. We tend to look at other individual's bodies and exercise routines and compare them to our own's far more often than we should. Again, this kind of envy is completely natural and nothing to be remorseful about. But the thing you have to remember is that everybody works at his own speed. Our bodies are unique and so are our minds, which is why it is important to remember that the only person you should compare yourself to is the version of you of the past. Sure, it may seem tempting to jump right into it and subject yourself to a gruesome training regimen from day one, but this kind of mentality is not only harmful towards your body but also towards your self-esteem. What you should do instead of that is start small. Rather than trying to deadlift 250 kilograms on your first day of training, better grab a pair of ProIron neoprene dumbbells and start from there. 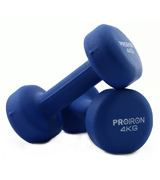 This item from ProIron features a couple of neoprene dumbbell weights that are suited perfectly for exercising at home. Although from the first glance their product may seem like something that is made specifically with women and children in mind, we would recommend you do not judge the book by its cover. Bright and colourful exterior aside, this item is perfectly suitable for all ages and fitness levels to get into the desired shape or simply maintain the kind of frame and form you already possess. This pair of dumbbells is a perfect exercise tool for all of your cardio and weight training demands. 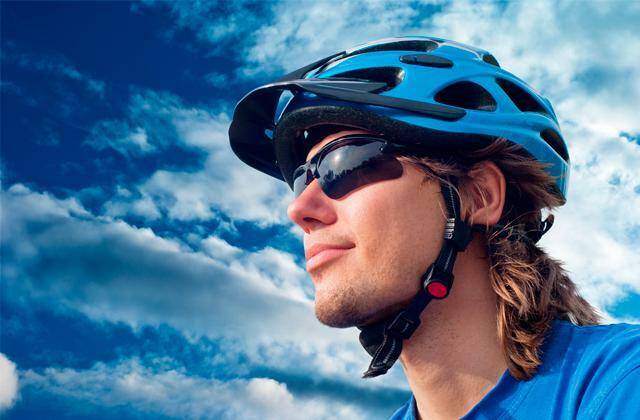 Neoprene is a type of synthetic rubber that is produced by polymerization of chloroprene. This sort of material exhibits good chemical stability and maintains flexibility over a wide temperature range. Knowing that it comes as no surprise that ProIron would choose to coat their product with this particular substance. All of the other materials are strictly selected, free of phthalate and lead and do not feature any kind of elements that could prove harmful to human. 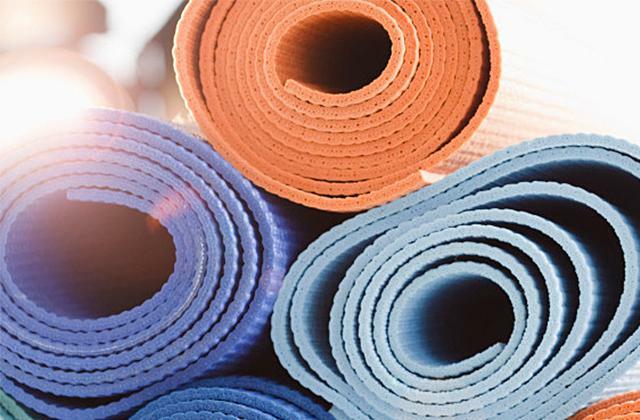 Not to mention the fact that neoprene is also very easy to clean and isn't prone to fading or cracking so it won't get in the way of your daily exercises. Of course, this kind of structure also provides a sufficient amount of comfort when it comes to walking with dumbbells in order to burn some additional calories. All in all, ProIron Home Gym is a great choice for anyone interested to get started in the field of fitness. Now, a lot has been said about the importance of working out and keeping your body in a fine physical shape in terms of the health benefits it provides, but there are at least a couple more aspects that people tend to sleep on when discussing the potential pros that come with indulging in regular physical exercise. Now, the first one may seem controversial to some people, but it isn't something that most of the aforementioned people would deny if asked about their honest opinion in good faith. That, of course, is appearance. One of the major motivations behind people trying to stay in good shape is the benefit that of a physical attractiveness that can really come a long way in the modern world. Despite the fact that these benefits are obvious to anyone with a modicum of critical thinking, a large portion of the population, when asked whether they care about their physical appearance and the appearance of others, are going to deny it partially or altogether. Naturally, a person who is too concerned about the looks of others could fairly be described as shallow while the person who cares too much about his own appearance can seem overly narcissistic. But putting the ridiculous social stigma aside, there's nothing wrong about allocating a healthy amount of attention towards staying in shape for the benefit of appearance. Another potential benefit of staying in shape is slightly less controversial but is almost as debatable. As some would expect, we're talking about real life application. 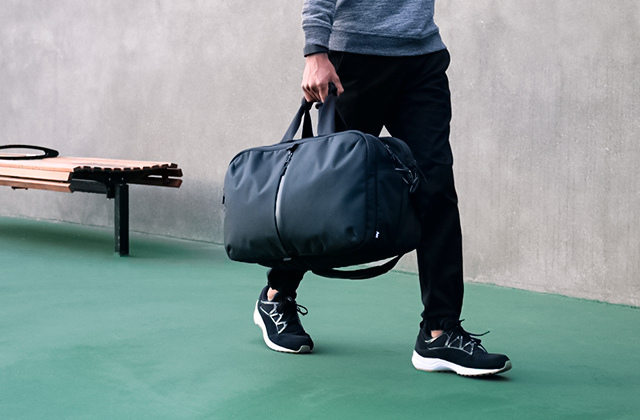 While most of us leave in a post-industrial society during a relatively peaceful period in time, there's little to no doubt that there's still some use to be found for additional strength and an agile body in the modern world. Naturally, a lot of those vary depending on the person's lifestyle or interests, but even regardless of those, it would be silly to deny that even in the modern society you can still face an occasional benefit to being a stronger, faster, and more durable person. Now, whatever the reasoning behind your desire to stay in shape may be, the key to that is always the same. And a pair of dumbbells from TNP Accessories is one of the best and simplest ways to achieve that goal. 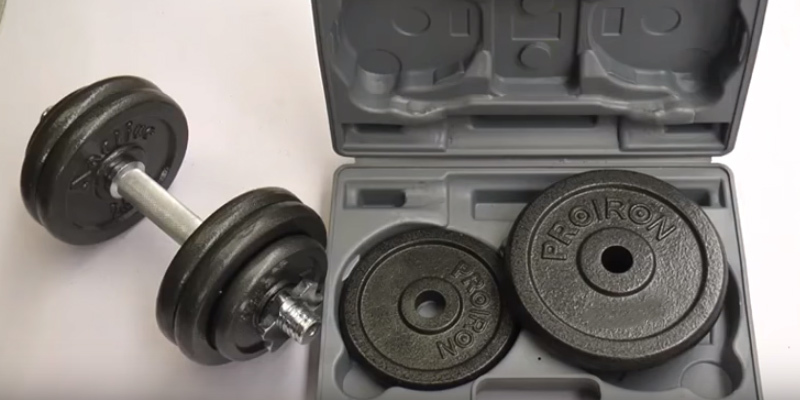 What TNP Accessories offer is a couple of good, old-fashioned dumbbells that nevertheless feature modern solutions. Exercising with their dumbbells gives you the ability to select the training exercises based on their similarity to actual movements that occur during sports. Dumbbells also necessitate more balance in comparison to training with barbells or machines and that balance can be crucial for optimal performance. Not to mention the fact that dumbbells also require more muscular control than barbells and they allow the athlete to train through a greater range of motion than the majority of other types of gym equipment. Since the dumbbells are, obviously, made for extensive physical exercises, the design and structure of the model can be of vital importance. The handles are made of solid metal and contoured with chrome ensuring a comfortable grip and a material that isn't prone to rust or exfoliating. 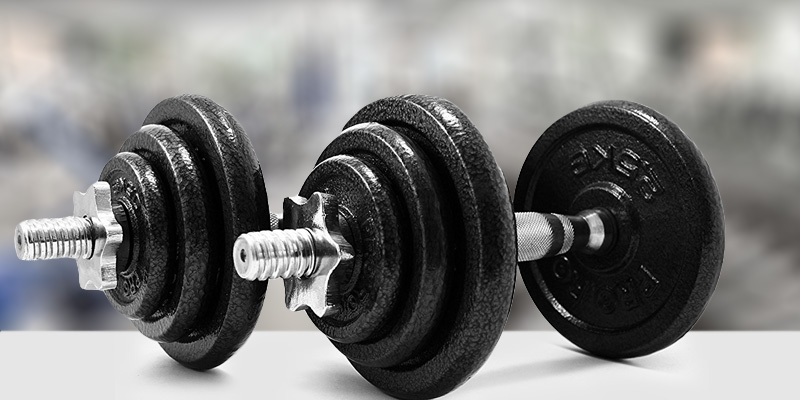 The dumbbells themselves are constructed with high-quality cast iron that provides a firm foundation while the ends are encased in rubber for some additional durability and control. Of course, the aforementioned rubber casing is also useful for avoiding injuries, protecting the surroundings as well as the equipment itself. Regardless of what kind of goals you wish to pursue or whatever your motives are, these dumbbells from TNP Accessories are going to be of great help in achieving them. Dumbbells are, in fact, the most simple and affordable strength training equipment which can benefit absolutely anyone who cares about their health and fitness. Dumbbells help you build your forearms, calves, and virtually any muscle. Training with dumbbells weights is significantly different from training with a barbell. It involves more small stabilizing muscles, your joints feel freer, the load is distributed more precisely on the muscles you’re building. In our today’s review, we cover up the most popular types of dumbbells and offer our own shortlist of best dumbbells. 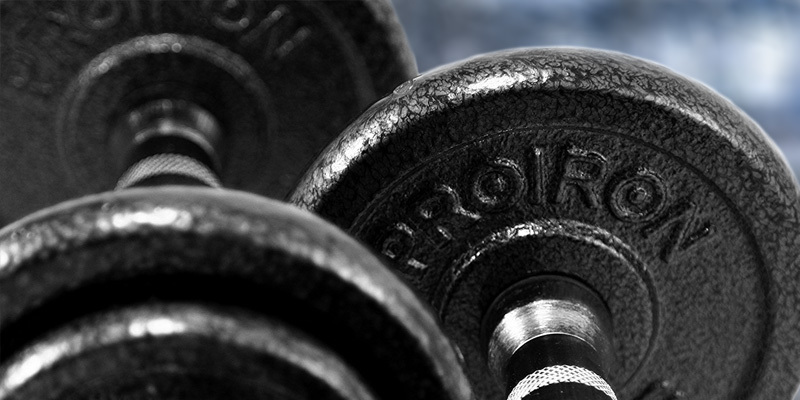 Find the most suitable dumbbells to fit your needs! We're sure that sports enthusiasts will also appreciate kettlebells, the popular sports equipment we're reviewing separately. 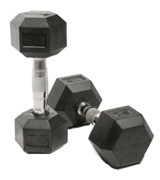 Fixed dumbbells are solid dumbbells made of various materials. They are perfect for children and for people who simply want to stay fit. This type of dumbbells is not designed for weight increment. 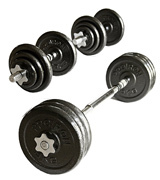 Adjustable weight dumbbells are probably the most convenient sports implements, consisting of a bar (can be of different diameter) and several weight plates. 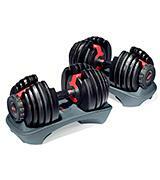 Such dumbbells let you gradually increase the load or set the appropriate weight for your results. POWERBLOCK dumbbells are adjustable weight dumbbells with blocks, yet they have the significant advantage in adjusting the dumbbells weight. 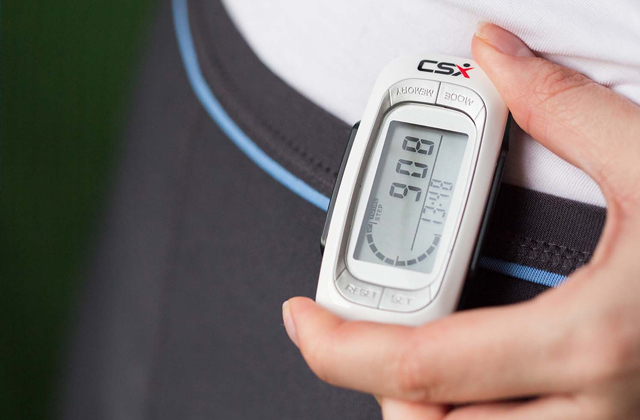 It takes no more than 2-3 seconds to set the needed weight load for your muscles. 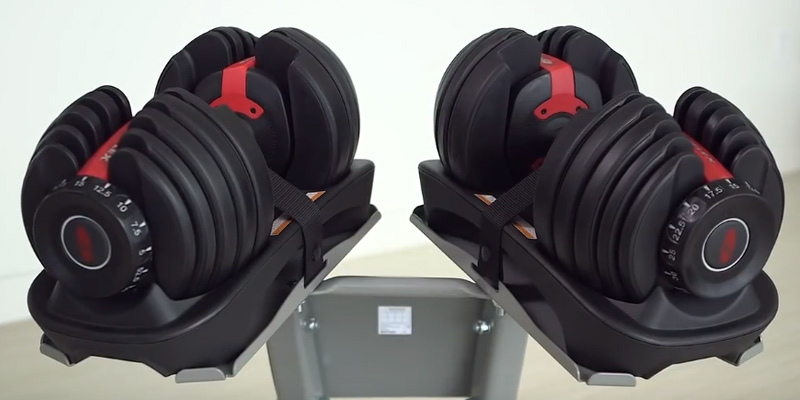 In fact, two PowerBlock dumbbells can replace a pile of fixed dumbbells and plates. Choose the right type which meets your expectation and enjoy the maximum efficiency of your training! 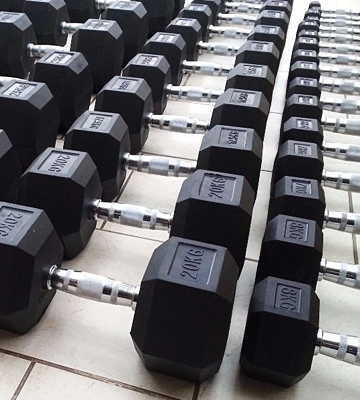 Weight characteristics are the second important criteria to consider when you’re choosing your new dumbbells. A typical mistake beginners often make is the wrong choice of dumbbells weights. Muscles grow only thanks to the load, which we get during the exercise. 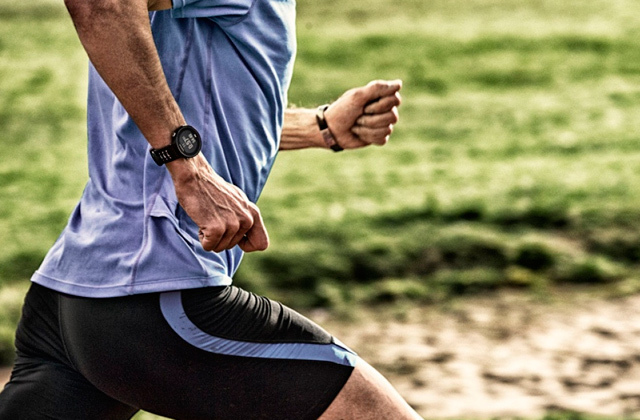 If you can’t feel muscle fatigue after a certain number of repeats, then maybe the chosen weight is insufficient. Many types of dumbbells, such as adjustable and PowerBlock dumbbells, allow you to increase the weight with extra plates or blocks, which makes it possible to increase the load and achieve new results over time. Also, pay attention to the minimum weight increment which provides a smooth weight gain without disregarding the initial physical training. Convenience and Practicality are worth considering so to make your workout a pleasure. Pay attention to the design of the handlebar. There are metal and rubberized bars. Metal handles must necessarily have knurled surfaces. But the best option is rubber-coated dumbbell handles. They feel good in your hand and training with such dumbbells is much more comfortable. Dumbbells can also vary in collars. The collars can be different, but their functions are absolutely identical. Winding dumbbell collars provide reliable fastening, but it takes more time to change the weights. The others are spring collars which can be put on quickly, but require extra testing when fastened and also tend to wear out over time. Another important factor is the shape and the coating of the plates. Rubberized discs don’t bang on the floor, don’t scratch it and leave no dents. 2. 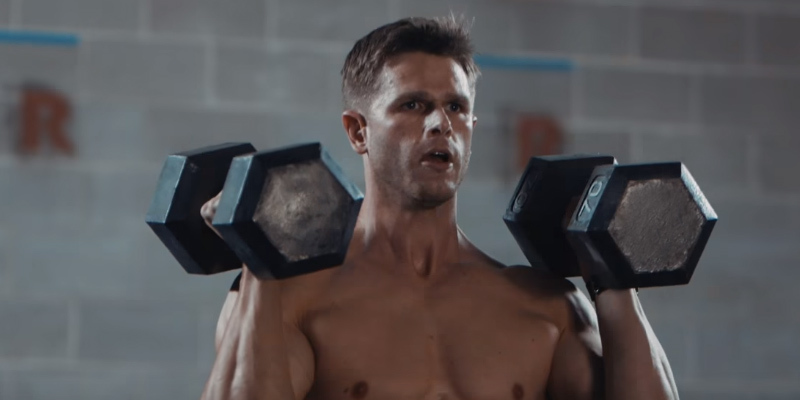 Dumbbells vs. Barbells, Men's Fitness. 3. Sam Ashe-Edmunds What Are the Health Benefits of Dumbbell Exercise? LIVESTRONG.com. October 03, 2017. 4. Tammy Dray What Are Dumbbells Made Out Of? LIVESTRONG.com. September 11, 2017. 5. Effects of body position and loading modality on muscle activity and strength in shoulder presses, NCBI.